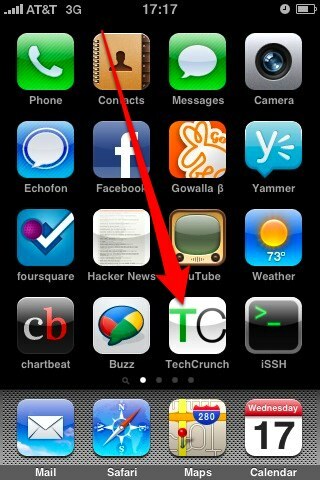 We’re happy to announce the rollout of a mobile version of TechCrunch. We know how spotty wireless coverage can be, and how frustrating it can get to wait for a ton of extras to load while you’re staring at 2.5″ screen and can’t see them anyway. To that end, this version is stripped down to the bare essentials to ensure quick load times and ease of use. It’s based on the WPTouch theme by BraveNewCode. It’s not an app – it works with any touch-enabled browser. You can, of course, add it to your home screen for easy access to the latest in technology news. 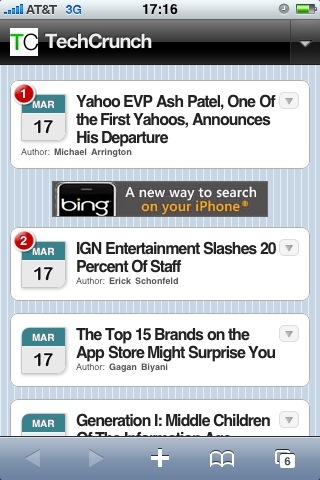 Thank you to Bing, our launch partner for the mobile version. To see the new mobile version, just go to beta.techcrunch.com on any touch-screen mobile device. We’ll be adding full support for non-touchscreen models soon. We’ll be improving on the design in the coming weeks, so tell us your thoughts in the comments.